To make it short there was nothing to dislike. The beach was great, very clean and directly in front of the hotel, on top of that we had an amazing few from our balcony, as part of the hotel there was also a beautiful terrace and because of the location of the hotel which was on the side of a hill, you have an wonderful, unobstructed view onto the ocean. In addition the owner was also very nice and helpful, she gave us a lot of information about the island what the best spots are and how to get there. The whole area is also very dog friendly. We had a blast and would definitly recommend it to anyone who is looking for nice place to relax in an amazing location that. The location is awesome, just overlooking the Keri Bay. 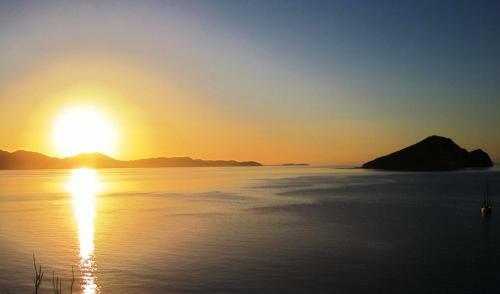 The view is great, you can see the turtle island (marathonisi) just from the hotel. The owners are wonderful people and would try to make you comfortable right from the start. 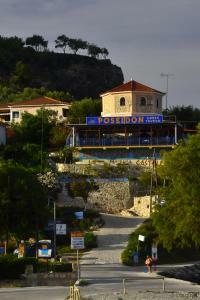 The hotel has a restaurant which serves good quality Greek/Mediterranean cuisines. 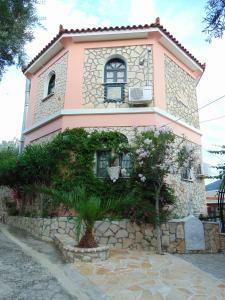 Every thing was excellent, location of the apartment was breath taking, also the place Keri is very peaceful and quiet. The outside space was amazing. 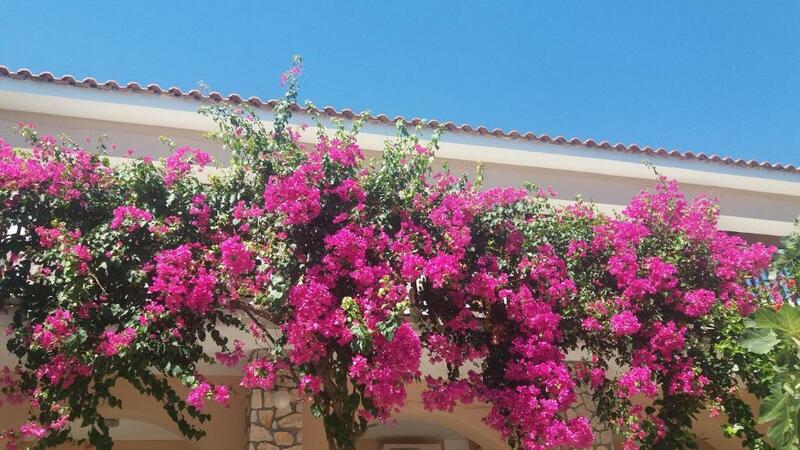 Lots of flowers and sun beds under the olive trees with views of the bay. Ideal spot for watching the sunrise. Extremely friendly and helpful owner and family. Lovely views. Peaceful. 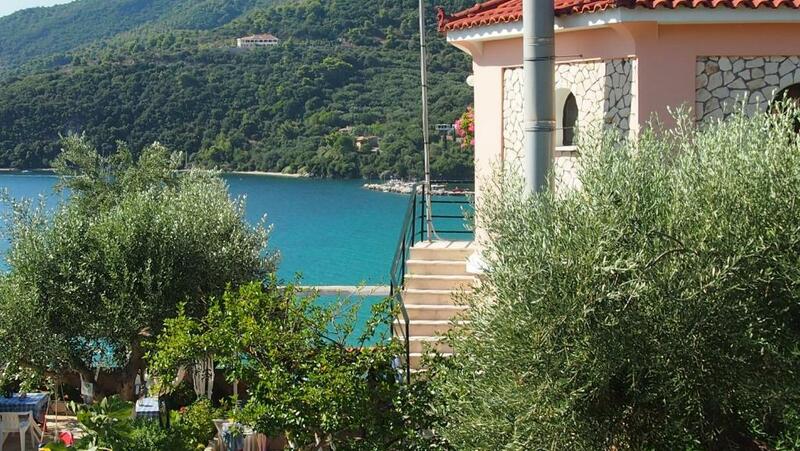 Accommodations are far from chaos The host is helpful Amazing landscape over the Keri beach Location well integrated with nature, plants, trees and flowers There are several external showers Thank you Aristea for your tips, congeniality and hospitality which rendered beautiful our holiday! Location is perfect: up The Hill (do not trust Google directions on map: at The harbour front go left to The Hill to Poseidon restaurant. It is next to it.) restaurant is great food and lovely view. Appartements are Nice and basic amidst fruit trees. My family and me were guests at your hotel for 10 days. I can give the highest appraisal for the provided service, for the attitude of the staff members towards us, for the furnishing of the rooms, for the level of hygiene everywhere on the premises. 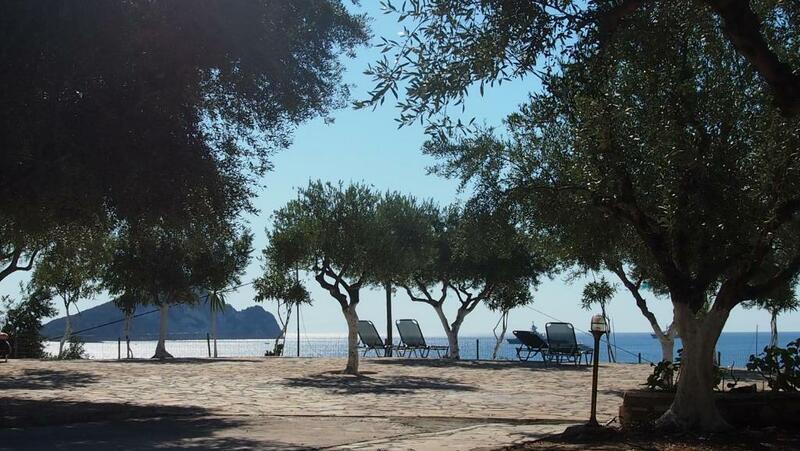 The hotel is situated at a marvelous place and it provides magnificent view. All the time we enjoyed the peacefulness and the silence of the place. I would like to express my special thanks to the owner of the hotel. She acquainted us with all the possibilities to spend one memorable and pleasant vacation and paid special attention to each of us and our needs. I have traveled a lot and I have been to many places all over the world, but at this one I would come back each year from now on for a vacation. 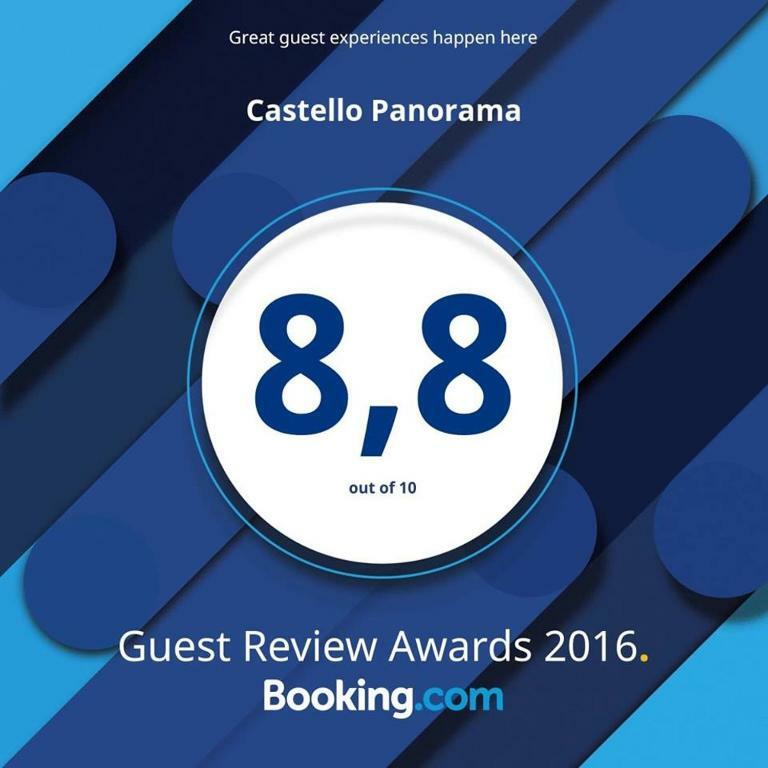 Lock in a great price for Castello Panorama – rated 8.6 by recent guests! Castello Panorama is located on a green hill with views over Limni Keri Bay, Cape Marathia and the Marathonissi Island, just 50 feet from the beach. 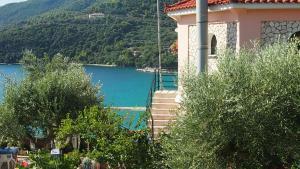 It offers self-catered rooms and a Greek restaurant overlooking the Ionian Sea. Rooms at the Panorama Castello are equipped with air conditioning and feature tiled floors and a furnished balcony. All units include a kitchenette and some also have a dining area. The restaurant serves Greek dishes such as stuffed vine leaves, fried cheese and baklava. Local wines and spirits are also offered. The nearby beach provides scuba diving facilities and there are boat rental services to explore the famous caves of Keri. 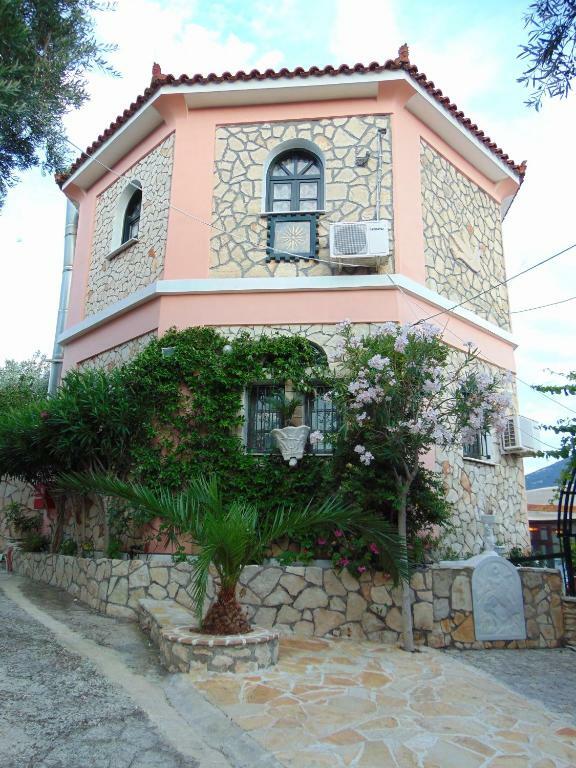 Zakynthos Town is at 11 mi and Zakynthos International Airport is at 9.9 mi. Free WiFi is available in the reception area. 뀐 Located in the top-rated area in Keri, this property has an excellent location score of 9.5! 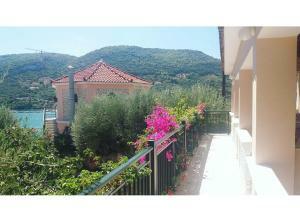 When would you like to stay at Castello Panorama? The property belongs to the family the last 10 years. Although it was built about 30 years ago. The buildings are surrounded by flowers and trees ,mostly olive trees ,some of them hundred years old. My mum ,Aristea and me, Nikoleta live in Athens during the winter and in May we come to Castello Panorama to run our business. We always try to make our guests feel comfortable and their stay pleasant and unforgettable. House Rules Castello Panorama takes special requests – add in the next step! Castello Panorama accepts these cards and reserves the right to temporarily hold an amount prior to arrival. Please inform Castello Panorama of your expected arrival time in advance. You can use the Special Requests box when booking, or contact the property directly using the contact details in your confirmation. Booked 3 studios and got 2 so-called studios and a room for 4 nights. Paid cash at the arrival to a friendly looking host. Last room was available late in the night, Due to the conditions, after 1 night, we deceided to ask a partial refund for the three nights left, showing the reasons.... No success... and just hit the road. The result was a Confirmation of "No show" on my account, meaning that we were not there (!!! ), i.e no review possible. Talk by phone to booking.com and here it is, we can say why we left:, The property shows deceiving pictures: mainly nature, surroundings, facades and few beds. Nature and surroundings are pretty much the same, but: - the bathrooms are tinny, with old rusted equipment, stained doors and taps. Some have not-insulated wires... - the bathrooms has a "standard" facility: a bucket with a mop; you are advised to "feel free to use it"; we had also a broom... - the kitchenette is a joke: all three of them had an ancient rusted fridge with black “spots” inside (did not put our water there), a rusted electric cooking plate and some plates in a worn cupboard. - inside our room the furniture war worn, repaired with tape, and the plank wardrobe was ornate with a smashed bloody mosquito.... This is the experience of 3 rooms. Perhaps the other look better and have indeed 25 sqm. The host is very friendly, ready to offered tips for entertainment.,.. but her priority is to accommodation and conditions given to tourists. And pretending that we did not show at the property (blocking practically the possibility of a feed back), despite the fact that we left after 1 night, paying in advance our entire 4 nights, is with indulgence called unfair. The garden and the position of the location. Kitchen and shower a bit tired. Excellent staff, perfect host, highly recommended. Shower and kitchen a bit tired. Great location, great view, clean and nice people. The groceries around were very expensive, overpriced in my opinion. The view from the terrace and the overall location, which amazing. The things I did not like that much: 1. The WiFi signal was very weak, I had to use most of the time my phone network. 2. The space available in the room and the toilet. The latter needs some work to make it look better. The things I liked the most: 1. The friendliness of the owner (she solved all our problems). 2. The restaurant (food delicious!). 3. The relationship price/quality/location and the view from the hotel/room. 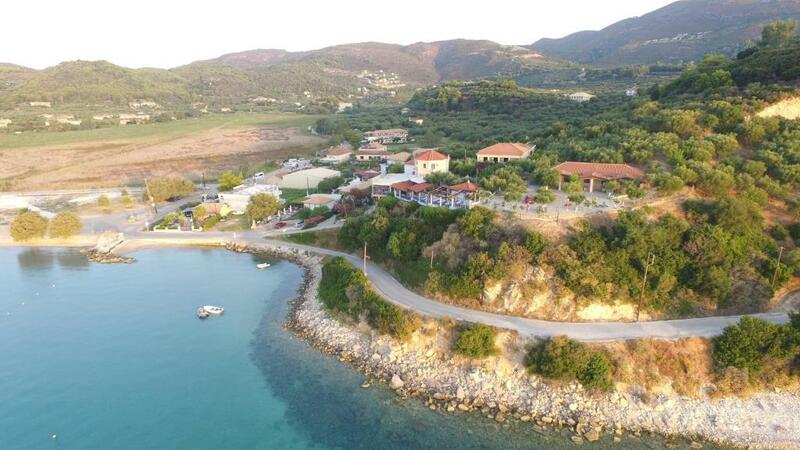 It is not far from the airport and with a quad/car, you can easily reach the whole island in a short time. awesome host, amazing view , beautifull sunrise and sunset views - great location-beach is just a minute walk- rooms cleaning service everyday. air condition (normally most of the hotels charge around 10 euro per night ) but here its including room price. will deffinently stay again. Wifi didn't work in our room, but hey you're on a holiday so who really needs wifi? !